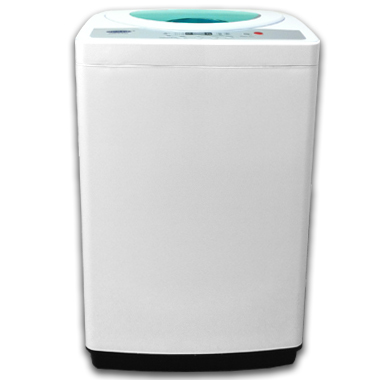 This Sonya Compact Washer is completely suitable for caravan, house, condos and apartment using. More surprisingly, We provide free mobile caster which is worth $40 to ensure easy moving around your place. 1. Remove the faucet filter or nozzel from your tap. 4. The other end of inlet hose attaches to the silver adaptor which is already fixed on faucet. 5. Hook the drain hose up to the sink.Make sure during washing, the drain hose must reach always at height of at least 30 inch ( in the sink) to drain water out. 6. Always choose "Cool" temperature on the control panel, but you could adjust your warm, hot, or cold water from your tap. 1.Connect the water inlet hoses to HOT and Cold connectors in back of washer. 2. Connect the other end to 2 faucets on the wall. 1. Does the quick adapter fit with my faucet? "YES, It's standard size with female and male threads, and it fits 99% faucets in North America. If your faucet is really special which looks smaller than standard size, we recommend to you to buy a special faucet connection in Home Depot/RONA - it costs around $3.00." 2. Is this washer noisy when it's working? "The washer cleans by "pulsating," not agitating, it sounds very quite. We never got any complains about the noise. It won't cause any disturbance to your neighbors". 3. What does 13.2 lbs capacity mean? How many jeans can I fit in? "13.2 lbs means weight of dry clothes. 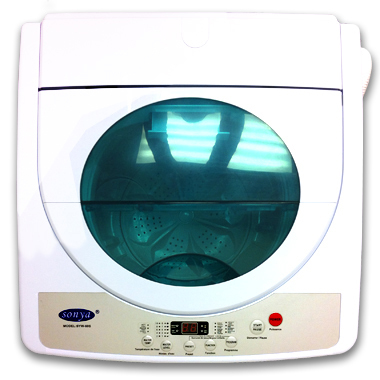 This washer fits 5-7 regular sized jeans, or 2 queen sized bed sheet , or 4-5 bath towels. Does this make a little bit sense to you?" 4. How to install the hoses, will it be too complicated? NO. It's very easy to hook them up. This model has 3 hoses along with the package. 1 special hose is for sink faucet, 2 hoses for both hot and cold valves. Please choose one method for you, details are in the INSTALLATION GUIDE in our website. More description, please check user manual for reference. The rated power Input is 320W. 1-10 water levels are available for choosing. you can select 10 levels of water -level 10 is approximately 30 gallons water, level 1 is approximately 8 gallons water. 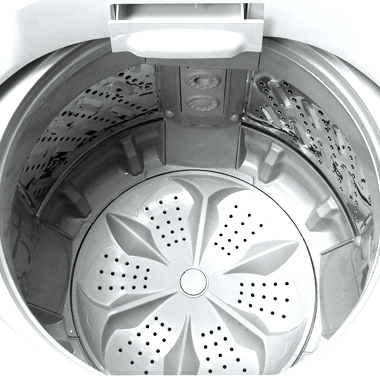 Amps and exact power depend on the wash cycle you pick. 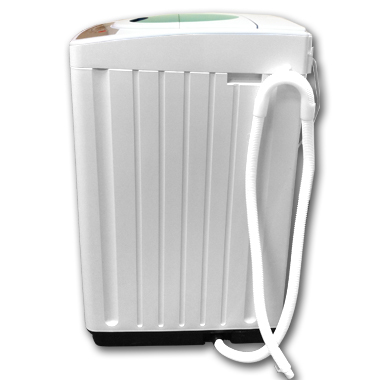 no exact number but it is a low- to-medium power and water consumption. 6. How is the warranty? 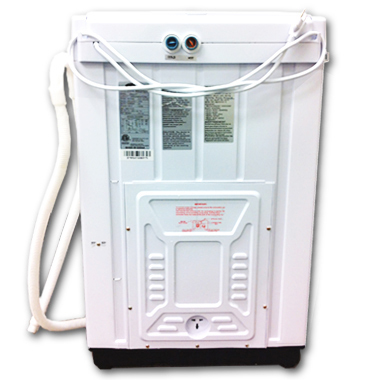 "One year manufacturer warranty covered within both USA and CANADA. Under warranty, sonya customer service will help you with maintenance tips and parts supply. " 7. Is this washer energy efficiency? "This washer is low on electricity use. If you choose low water level, cold water or a short/quick wash - all of these ways will reduce your overall energy use"
8. Any other precautions and advices I need to know? a. We kindly notice you that it's extremely important to remove all coins, hair -pins, tickets and other small objects from your clothing before starting your laundry. Because if you do not bother to take this little efforts, water may fail to be discharged from the drainage hose during the Spin and Rinse Cycles which most cases are caused by unintended clogging inside the pump. It's really not necessary to see that your cycle has ended and your clothes are sitting in a tub of soapy water, the draining won't work properly, and then you have to call and wait for service. So please empty your pockets! 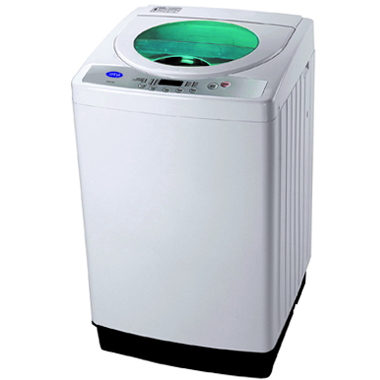 b. Washer is used for cleaning purpose only, not functioning as your cabinet or storage. We kindly remind you that please open and close the lid gently , and please do not place any objects onto top of the washer. If connectors of lid are broken, the protection brake will stay at lock-in position so that your washer will not start working again and keep beeping with error signals.